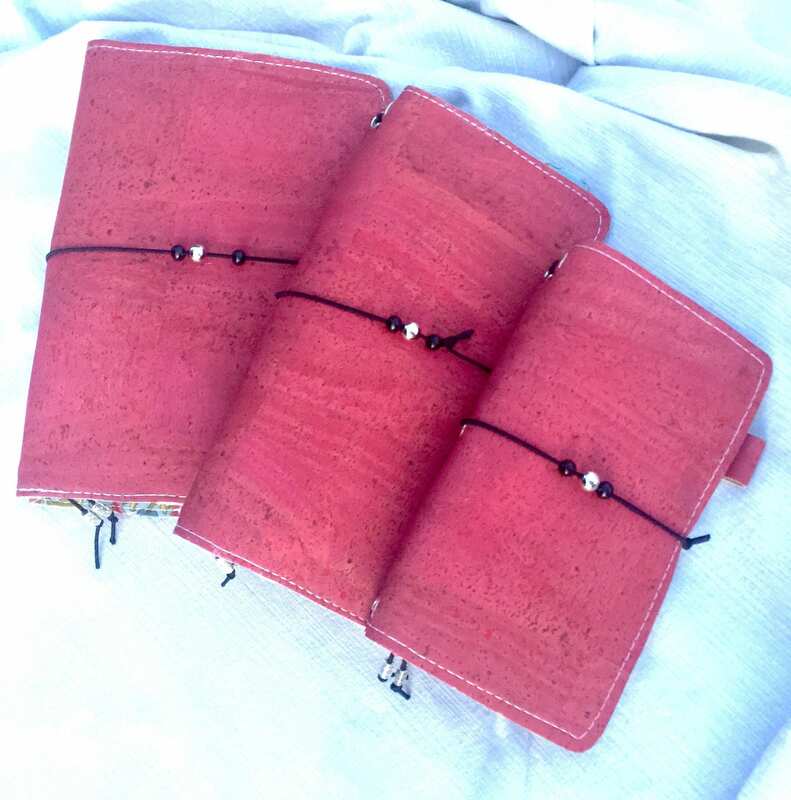 CLEARANCE: Gorgeous traveler's notebook in beautiful cranberry red cork fabric. Useful as a planner,journal, etc. Inserts included! 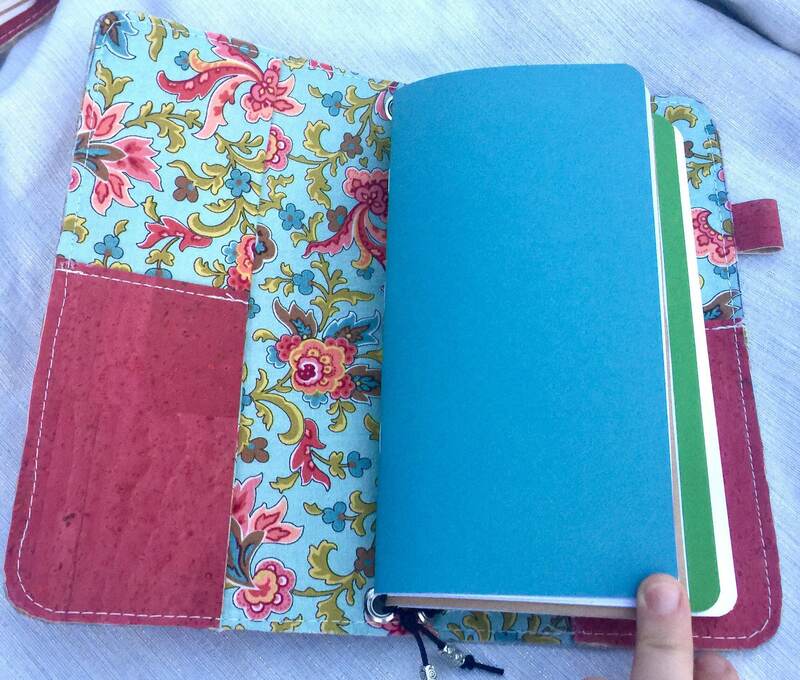 With this listing you will receive one (1) standard size notebook with four (4) plain paper booklet style inserts. 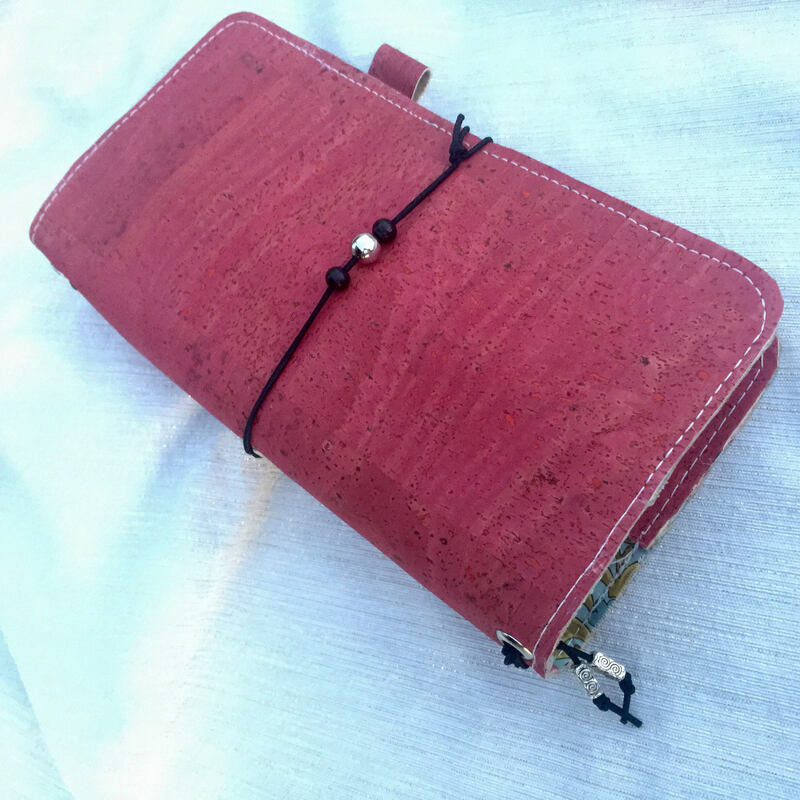 The notebook cover is constructed of durable and beautiful cork fabric and canvas which has been made more durable with the support of woven interfacing. 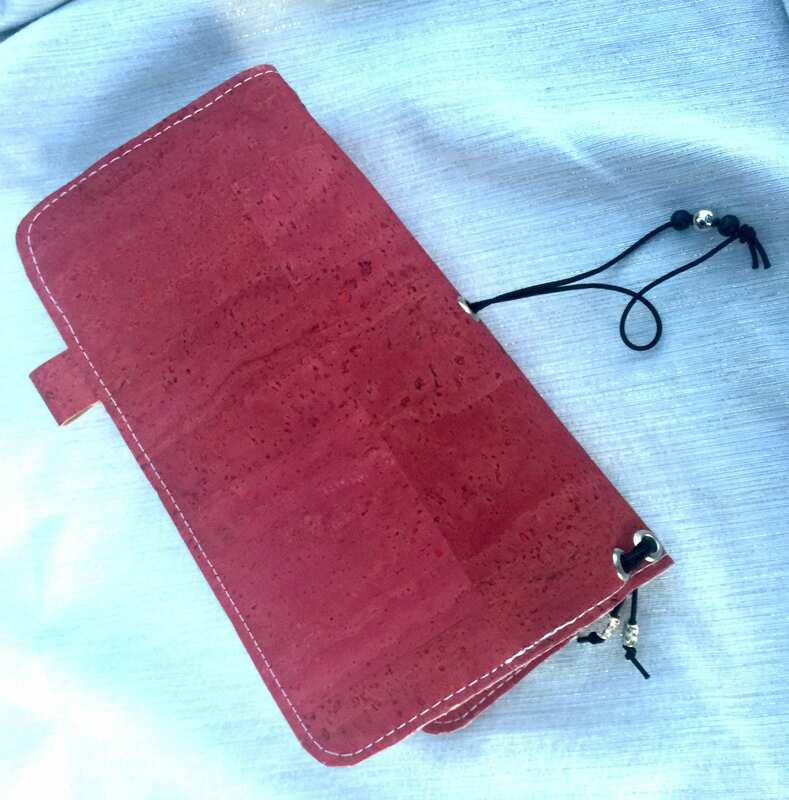 In addition to several interior pockets that will aid you in toting along at least some of your most essential journaling bits and baubles, your pen has it's own loop stitched conveniently into the side. In case you were worried that there wouldn't be a place for you to hang your collection of fancy notebook charms, I have you covered! 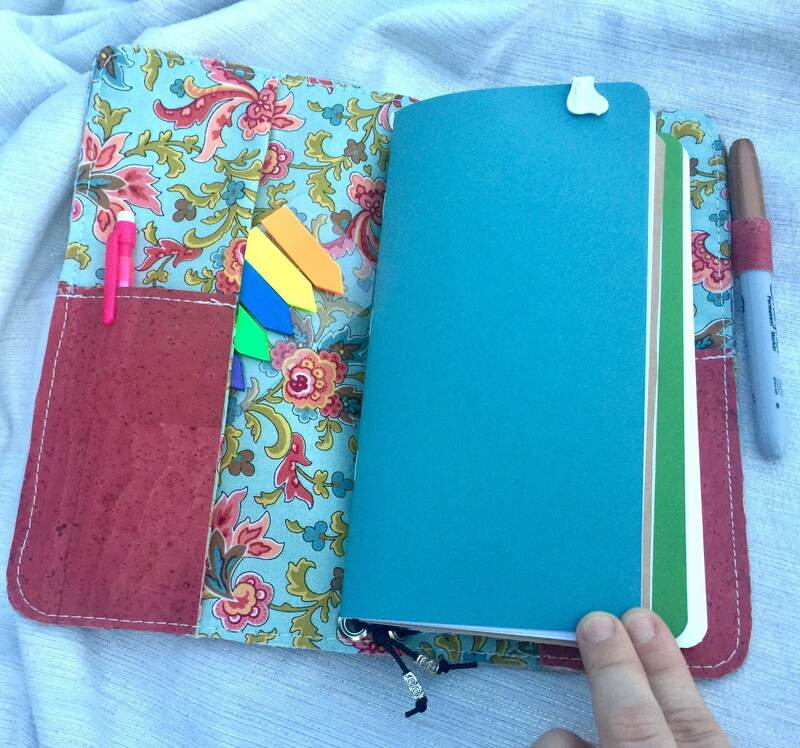 A strong system of elastic bands are strung into the spine of the notebook that have just enough outside loop exposed to facilitate your display. 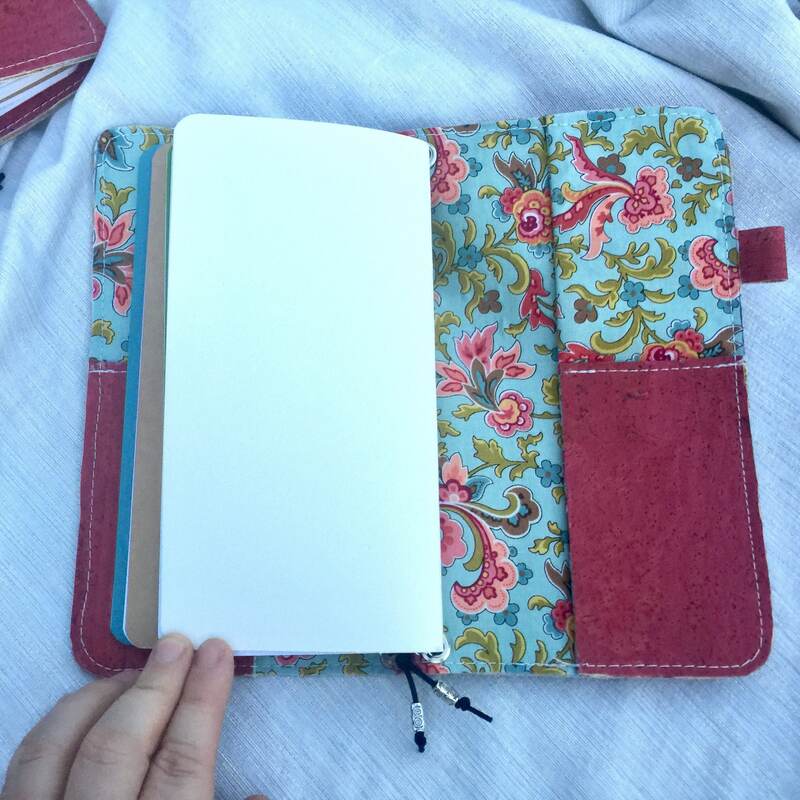 Their secondary function, of course, is to hold the paper notebook inserts in place inside the journal. 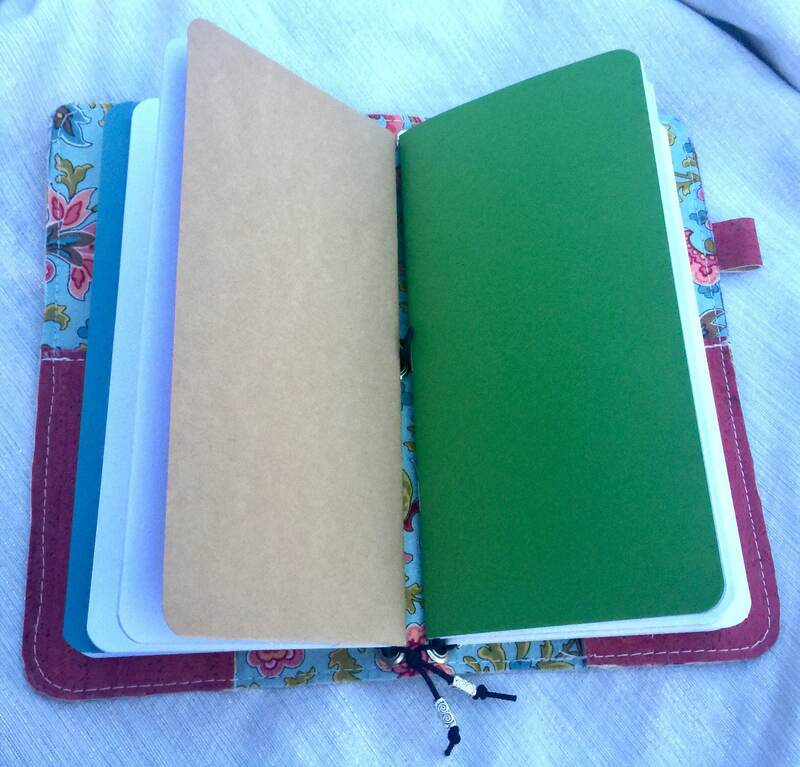 The whole thing can be bound by an elastic loop that hangs from the center of the notebook spine. If you don't have any charms, don't despair. I've embellished the elastic with pretty coordinating beads! 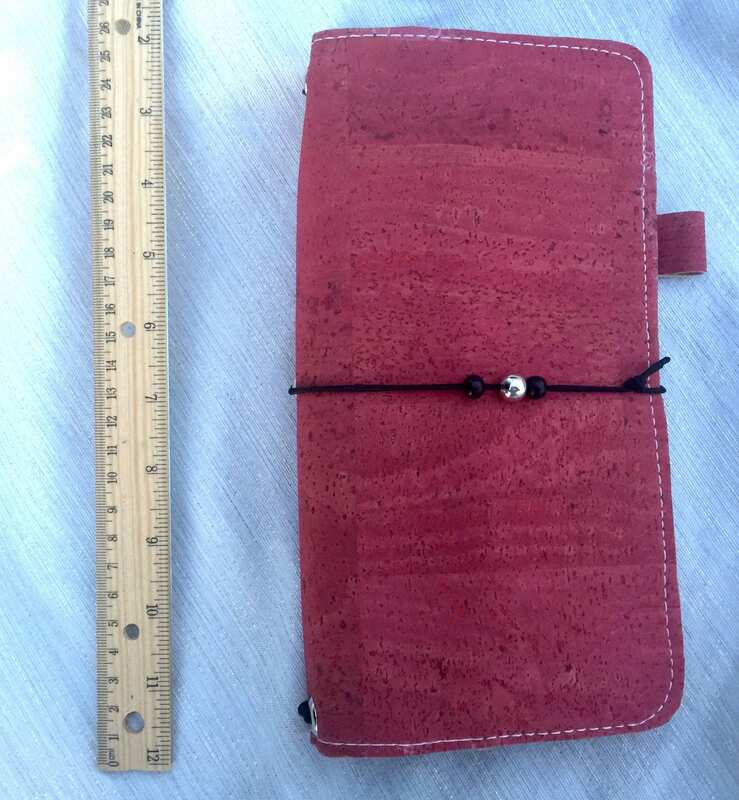 This notebook measures approximately 9.5" x 5.5" with four paper inserts measuring approximately 8.25" x 4.25". The inserts have 60 pages (front and back) of plain white 28 pound paper and are bound in cardstock in coordinating colors. 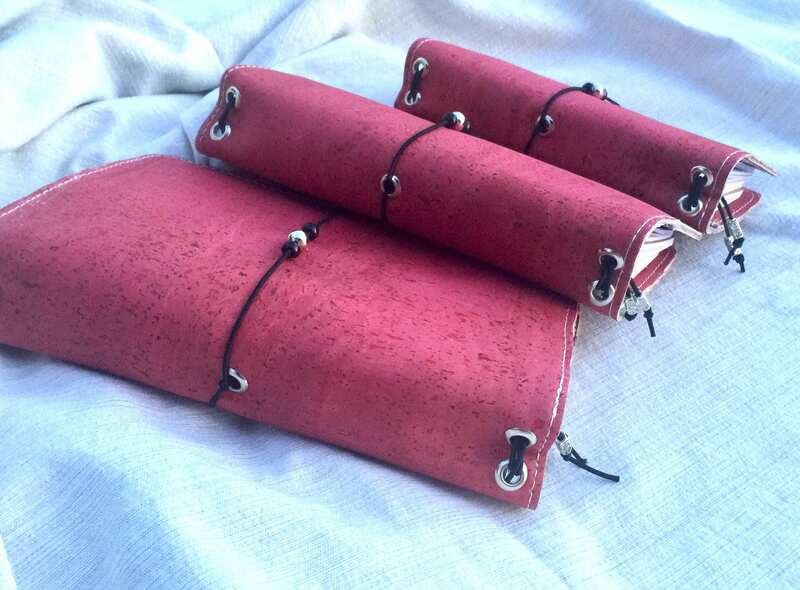 This notebook is ready to purchase and can be shipped out within three (3) days. It is my goal to "wow" you with my creation so if anything isn't to your liking, please reach out to me and I will make it right! I am also into making custom creations if you had something specific in mind. 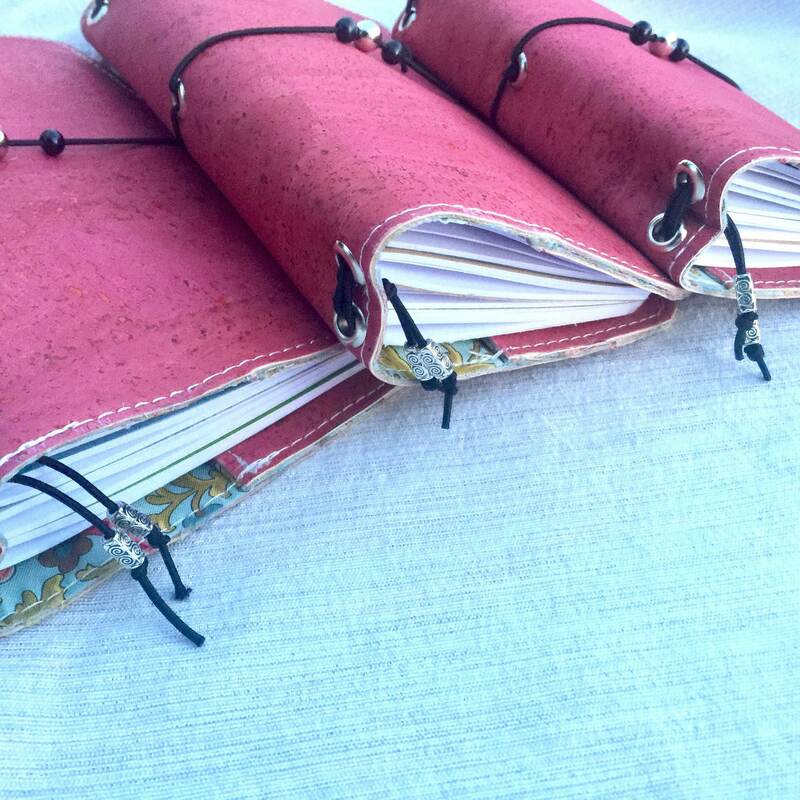 You can check out other journals like this if you visit my shop, DoodleStitchArt.com. Thanks so much for choosing homemade.